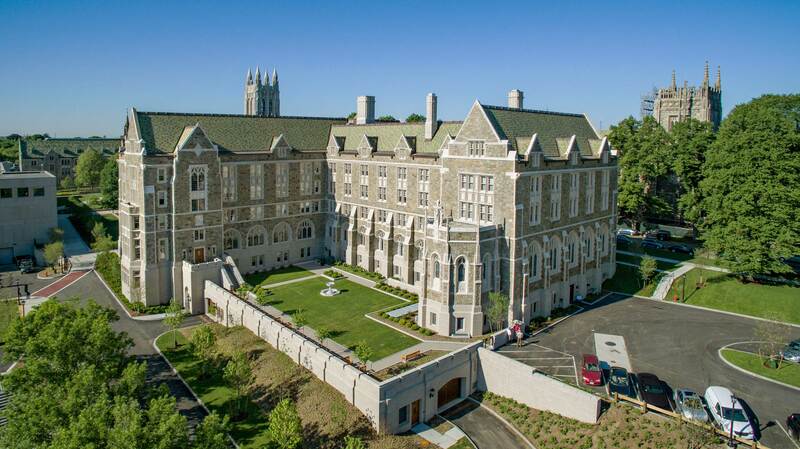 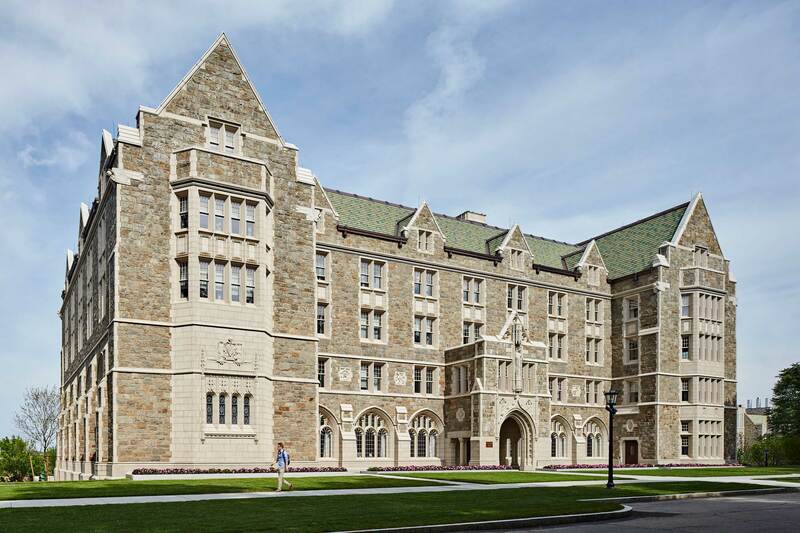 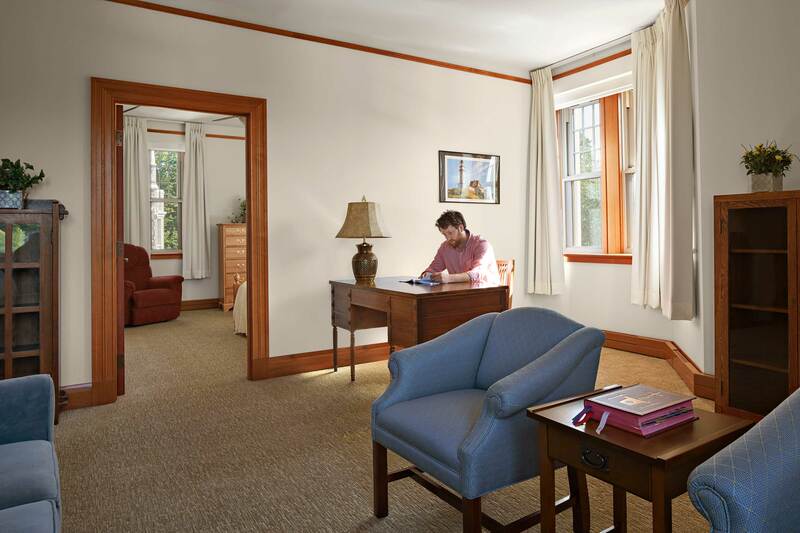 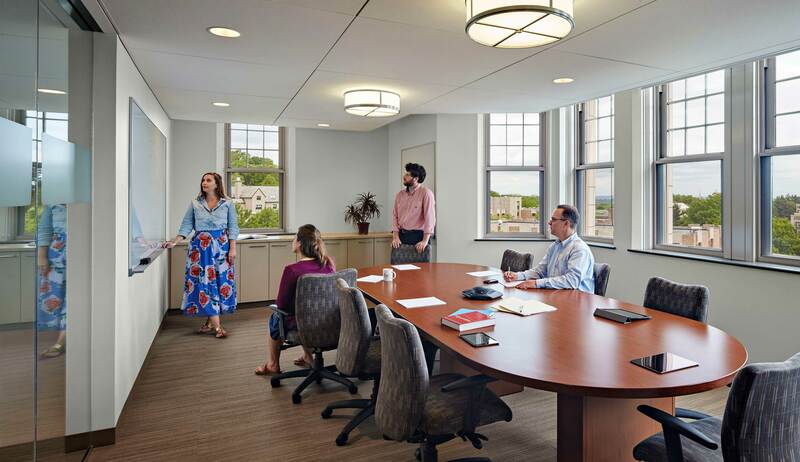 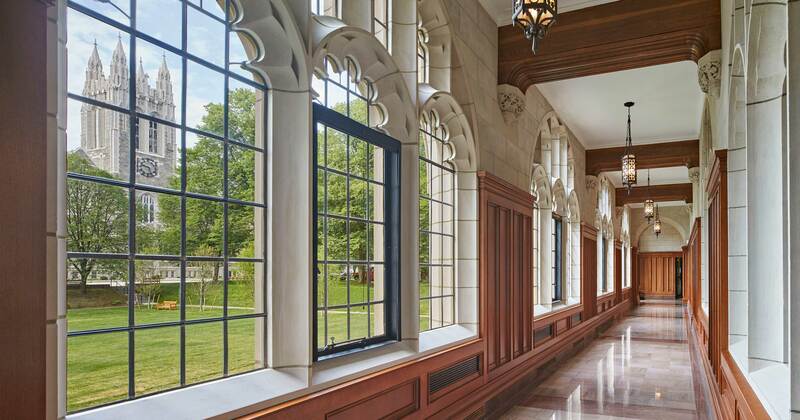 The second oldest building on the Boston College campus, St. Mary’s Hall underwent an addition, renovation and restoration to create apartments for 32 Jesuit residents and commons space for dining, library, recreation, music, a parking garage and a chapel. 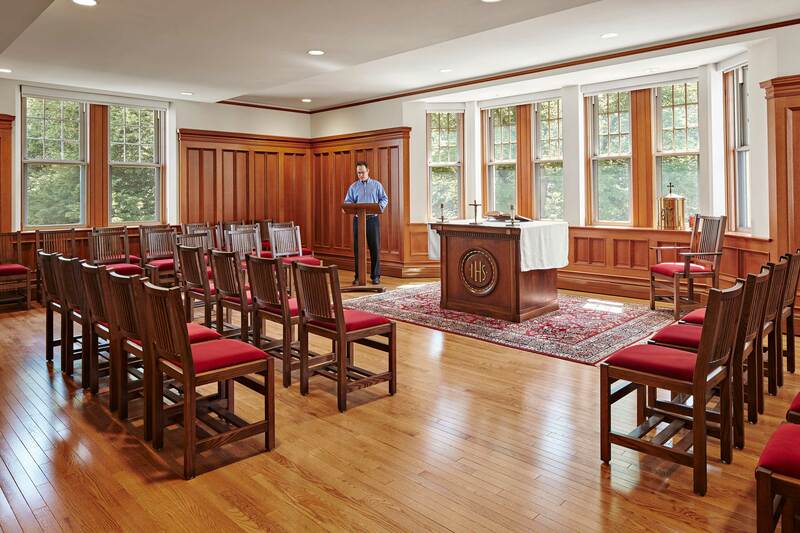 St. Mary’s also houses the Communication and Computer Science departments and the Woods College of Advancing Studies in the refurbished south wing. 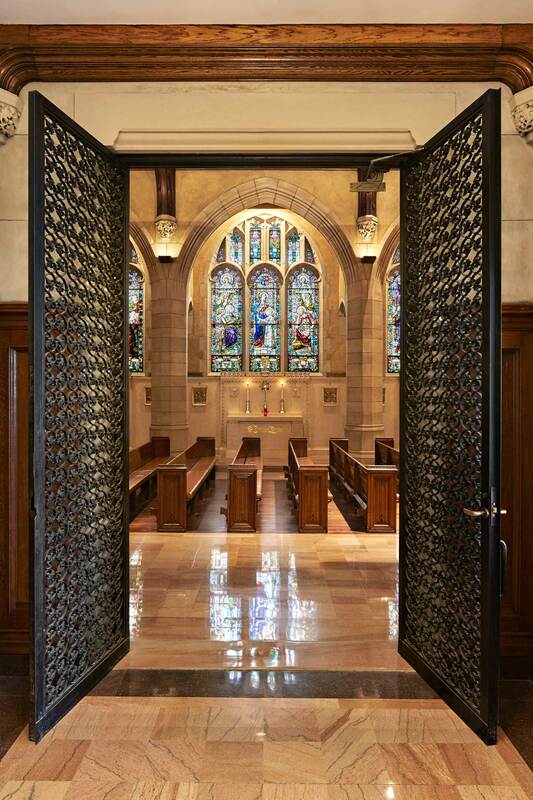 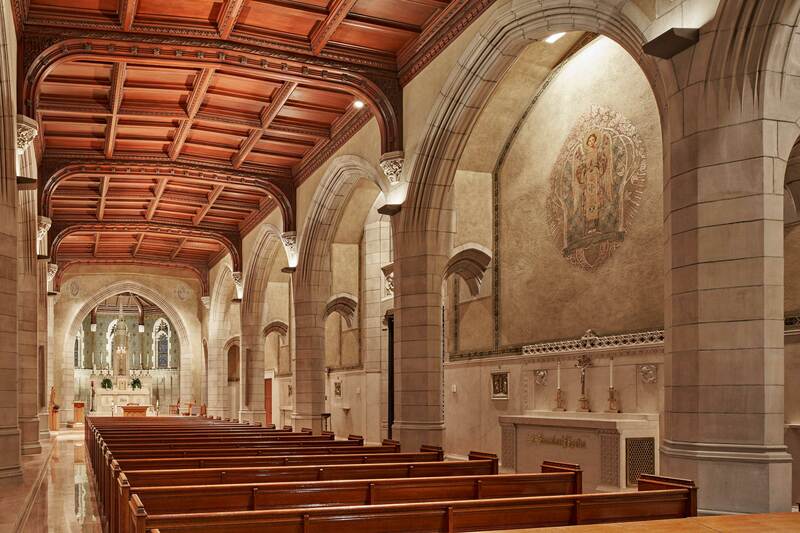 The existing large chapel included restoration of finishes and the addition of an air conditioning system. 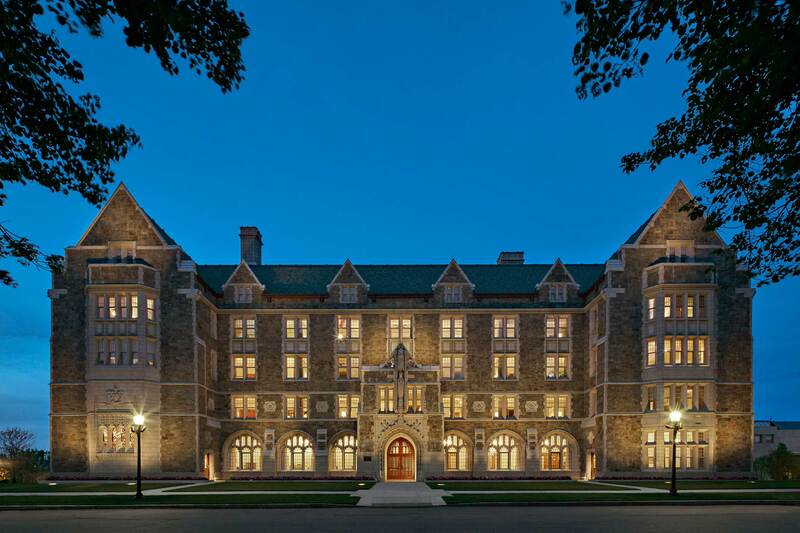 The project was delivered through a partnership of design services. 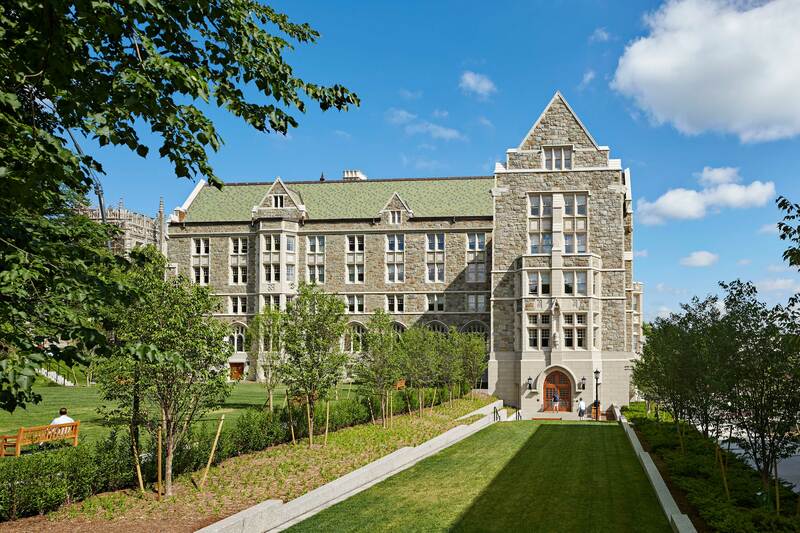 DiMella Shaffer served as prime architect and was responsible for the new parking structure and the interior architecture. 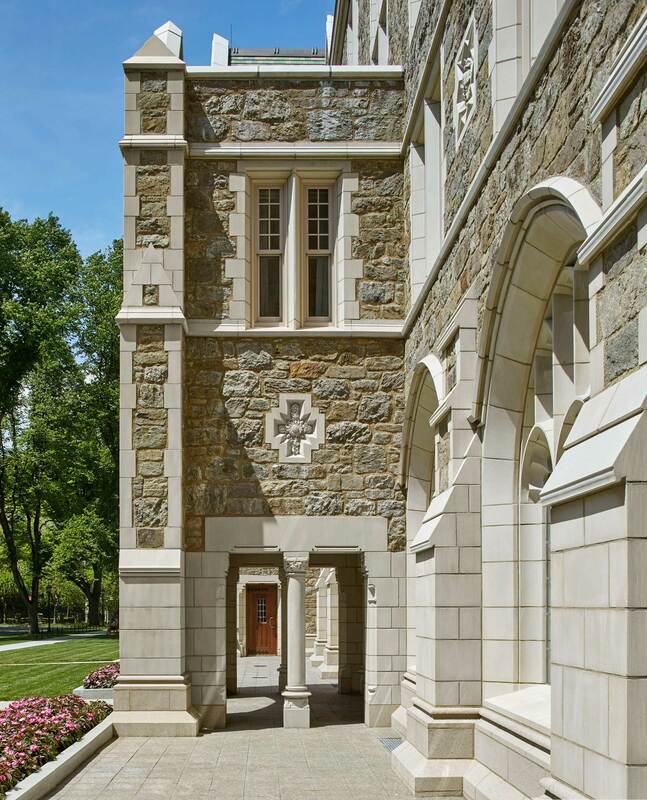 McGinley Kalsow & Associates was responsible for designing an extensive exterior repair and restoration program that included replacement of 13,000 pieces of cast stone including over 50 significant sculptural elements.